Health status and the experience of working in health care roles are both strongly shaped by gender and, although there have been attempts to incorporate ’gender awareness’ in both health and employment policies, the significance of gender in these areas continues to be marginalised within public debates and academic discourses. 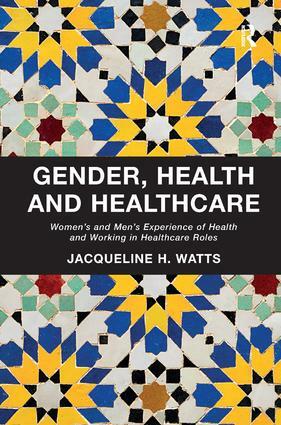 Taking a social constructionist perspective, Watts considers the ways in which gender impacts upon health in all its elements including access, technology, professionalisation, health promotion and health as an important sector of the labour market. She discusses gender as a developing and diversified category, exploring ideas about masculinity and the fluidity of gender boundaries in determining individual identity. Chapters that follow discuss men’s and women’s health; ideology of gender and health, specifically exploring different social norms and ideas about male and female health and the dominant ideological association between femaleness and caring; working for health with particular focus on the gendered interplay of caring and curing roles; technology and changes to gender, health and healthcare; health promotion as a gendered activity and, finally, the importance of introducing an intersectional approach beyond gender to articulate a deeper understanding of health in a postmodern context. The concluding chapter draws together these themes to underscore the importance of placing gender at the centre of health and health care delivery to fully take account of both the different life and health experiences of men and women and the gendered dimensions of working in health care. Jacqueline H. Watts is Senior Lecturer in the Faculty of Health and Social Care at The Open University in London, UK.